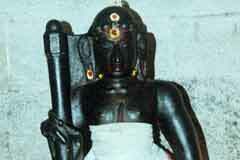 The Lord of the temple is praised in the hymns of Saint Tirugnanasambandar. 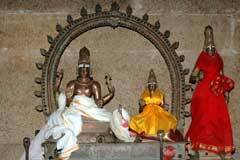 This is the 3rd temple on the southern bank of Cauvery praised in Thevaram hymns. 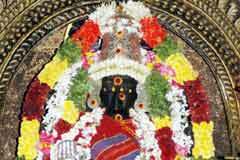 Vaikasi Brahmmotsavam in May-June and the First Aipasi Thula Snanam in October-November are the festivals celebrated in the temple. 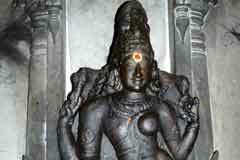 Lord graces here as a swayambu Linga. The rays of Sun fall on the Lord on 18th Purattasi (September-October). 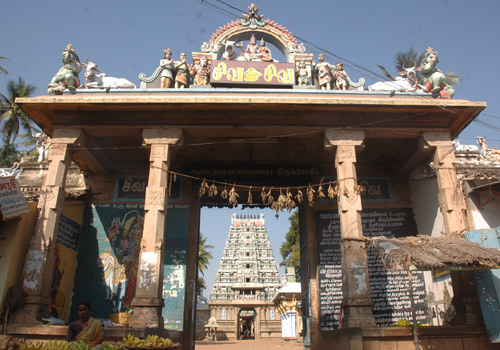 Sri Paraithurai Nathar Temple, Tiruparaithurai, Tiruchi-639 115. In days of yore, the region was a jungle dense with Parai trees from where the Shivalinga was found and the temple built here. 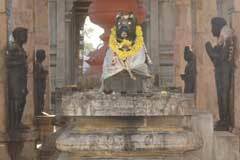 Lord was named Paraithurai Nathar. 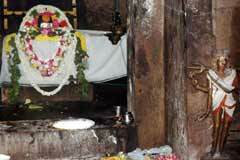 There is a Shivalinga under the Parai tree behind the sanctum sanctorum. 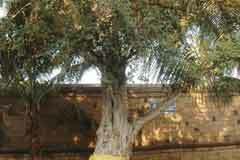 It is said that Lord appeared from this place. Mother Pasumpon Mayilambikai and Lord Nataraja grace from their shrines in the prakara facing south. During the Vaikasi (May-June) Brahmmotsavam, Lord Nataraja comes in procession not accompanied by Ambica. The system seems to be different here. 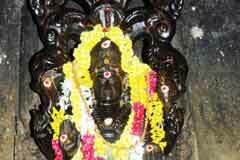 The temple is praised in the hymns of Saints Gananasambandar, Tirunavukkarasar and Arunagiriar. The Cauvery near the temple is revered as Akanda (wide) Cauvery. The river bifurcates at a distance of 2 kms from here as Cauvery and Kollidam. Kadai Muzhukku, a bath in Cauvery at Mayiladuthurai on the last date of Aipasi (October-November) is taken by devotees while the first on the first Aipasi takes place in Paraithurai. It is the firm belief of the devotees that this bathing would cleanse them of their sins. Lord Muruga with His consorts Valli and Deivanai grace the devotees from a shrine in the prakara sung by Saint Arunagiriar while Lord Dandayuthapani wearing sandals graces from a shrine nearby. 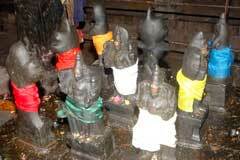 Those seeking wedding matches worship Varahi, one among the Saptha Kannikas offering abishek and lighting lamps. Tiruparaithurai is 15 km from Tiruchi on the Karur road. Hotel Mega: +91-431-241 4092, 241 6354.